East Japan Railway Co. will begin an environmental survey this spring in preparation for building a faster access line to Haneda airport from central Tokyo, sources familiar with the plan said Saturday. The company could announce its plan for the environment impact assessment by the end of this month. With the announcement, the capital's megaproject connecting the airport and major JR stations such as Tokyo and Shinjuku in roughly 20 minutes will move on in earnest. If all goes smoothly, the new train line will be completed around 2029 after three years of the assessment and seven years of construction work. Located about 15 kilometers south of central Tokyo, the major airport is expected to see even stronger travel demand, coupled with an increase in international flights as Tokyo hosts the Olympics and Paralympics in 2020. Travelers will benefit from easier and faster access through three routes to the airport with the completion of the train line now expected to cost over 300 billion yen ($2.7 billion). JR East has requested financial support from the central and the Tokyo metropolitan governments. 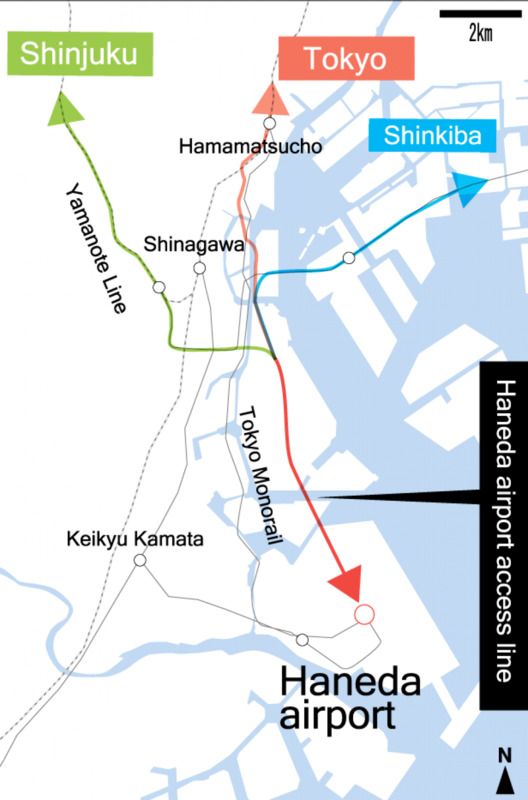 The new line will connect Haneda airport with Tokyo Station in about 18 minutes and with Shinjuku in about 23 minutes. Tokyo Station is a transit hub for bullet train services bound for regions throughout Japan. JR East has already conducted a boring survey at Haneda airport to build a new station. Through geological and other additional surveys, it plans to check the environmental impact of its construction work and train operation. Under the current plan, a 5.7-kilometer tunnel will be built to connect a new station at the airport and an existing freight terminal in Tokyo's Shinagawa Ward. At present, JR East does not have a direct train link to Haneda, officially known as Tokyo International Airport, besides the monorail service that is run by its subsidiary. In 2017, Haneda airport's passenger count totaled about 85.41 million, ranking fourth in the world, according to the Airports Council International. Haneda was once an airport for domestic flights when international flights moved to Narita on its opening in 1978. 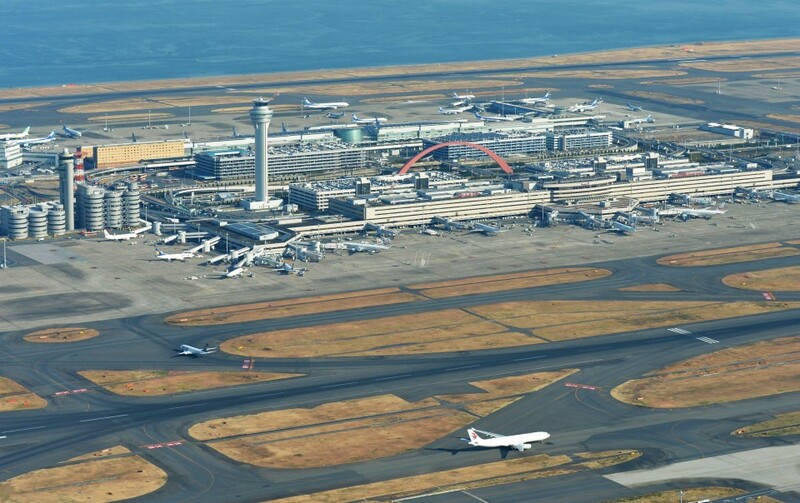 But the airport on Tokyo's waterfront, which resumed hosting international flights in 2010, has rapidly expanded in recent years with the government policy of promoting tourism and the selection of the Japanese capital to host the Olympic and Paralympic Games.